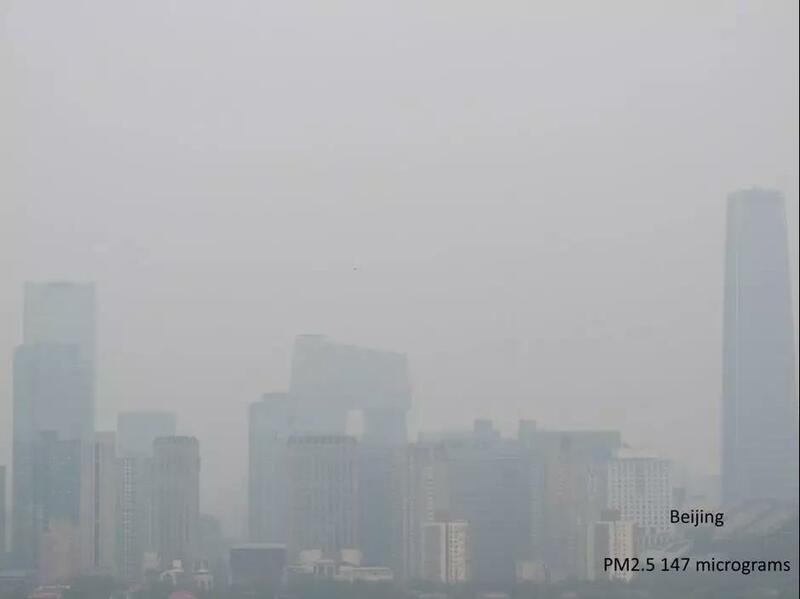 So you’ve arrived to a polluted city–Beijing or Bangalore, Delhi or Shanghai. What can you do to keep air pollution from trimming years off your life? When I moved to China in 2007, I wasn’t a dummy. I was a college grad, and I knew about air pollution. But I knew almost nothing about protecting myself from air pollution. Since then, I’ve spent ten years researching whether masks actually work, building my own purifiers, and testing them against the expensive imports. I’ve learned a lot about the effects of air pollution, and how to survive the smog. I’ll spare you the decade of research so that, in just minutes, you can equip yourself with the four most important tips I’ve learned about staying safe in the world’s most polluted cities. Then you can spend the rest of your time thinking about things other than air quality and air pollution. Bad air quality effects wages war on even young, healthy people’s bodies a lot faster (even without noticeable symptoms) and at a lot lower levels than I had ever imagined. “Unhealthy for sensitive groups?” Well, I’m not a “sensitive group.” I’m young. I’m healthy. So I don’t need to worry. Plus, I’m usually only in those polluted cities in China or India for a few months. I’m probably fine. Then I saw this air pollution study. 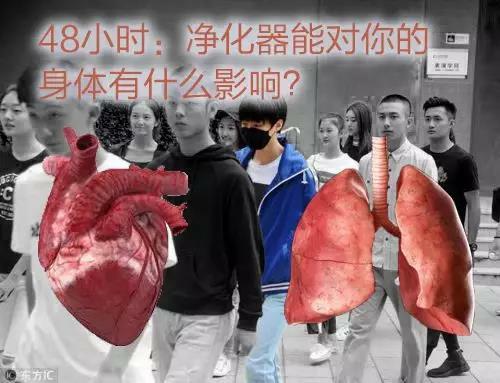 Researchers gave real or fake air purifiers to 35 healthy college students in Shanghai — a top polluted city — and tested their blood. 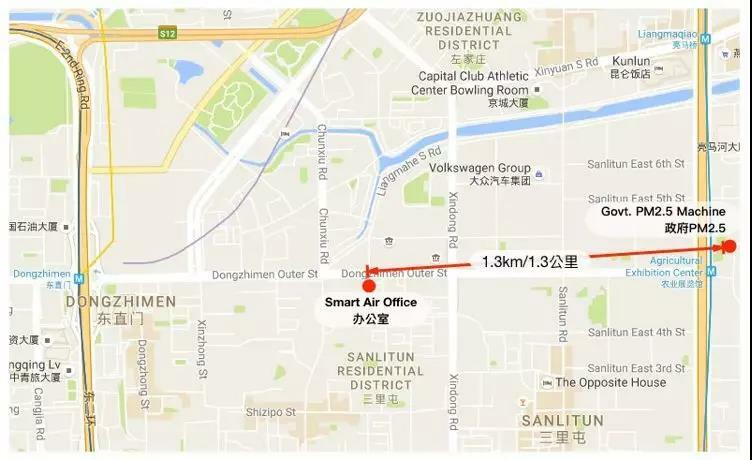 After just 48 hours, the students who were breathing Shanghai pollution had a war going on in their blood and the health effects of air pollution were obvious—their bodies were raging with inflammation, their blood pressure was up, their blood vessels were constricting, and their blood was preparing to form blood clots. 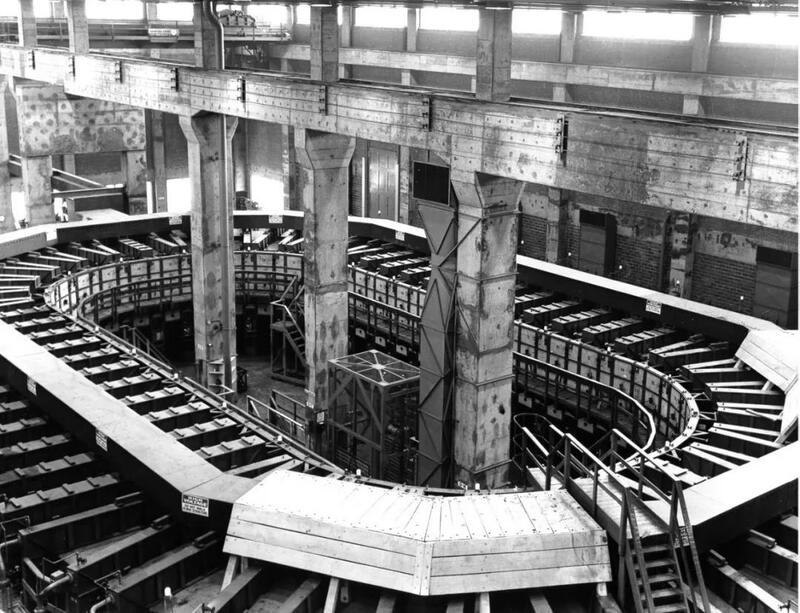 Yet the students breathing clean, purified air had significantly less damage in their body. For example, they had less inflammation. 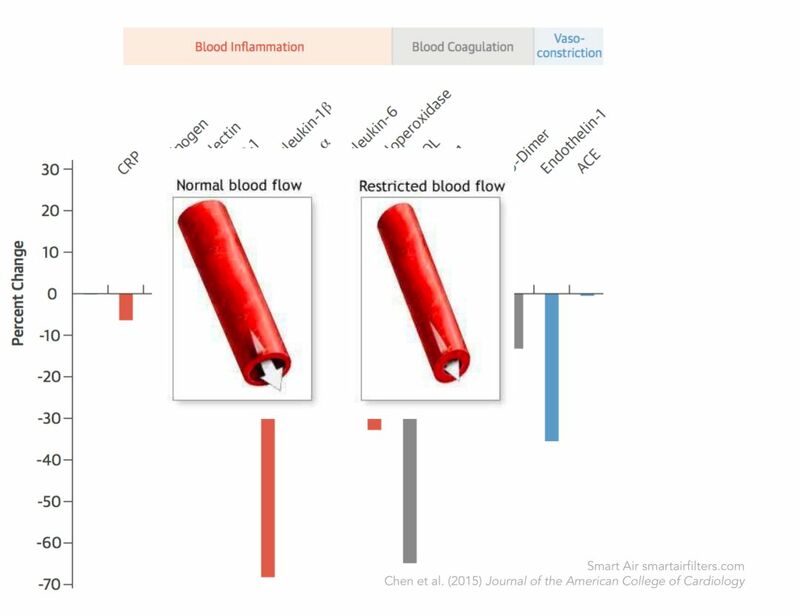 And they had less constriction in their blood vessels. Another crazy thing about that study is that its biggest effects weren’t in people’s lungs. It was in their blood and inflammation throughout their body. It’s clear, using an air purifier reduced the impacts of air pollution on people’s health. This hits on an important fact I discovered. Air pollution doesn’t kill like we think it does. When the World Health Organization tallied up air pollution deaths per year, they found that lung cancer only accounted for 14%. Other lung problems like bronchitis were another 14%. 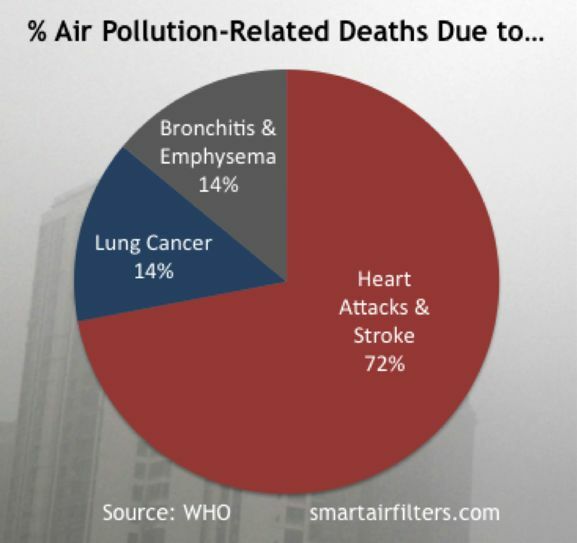 So what’s the other 72%—the large majority of air pollution deaths? Heart attacks and strokes. 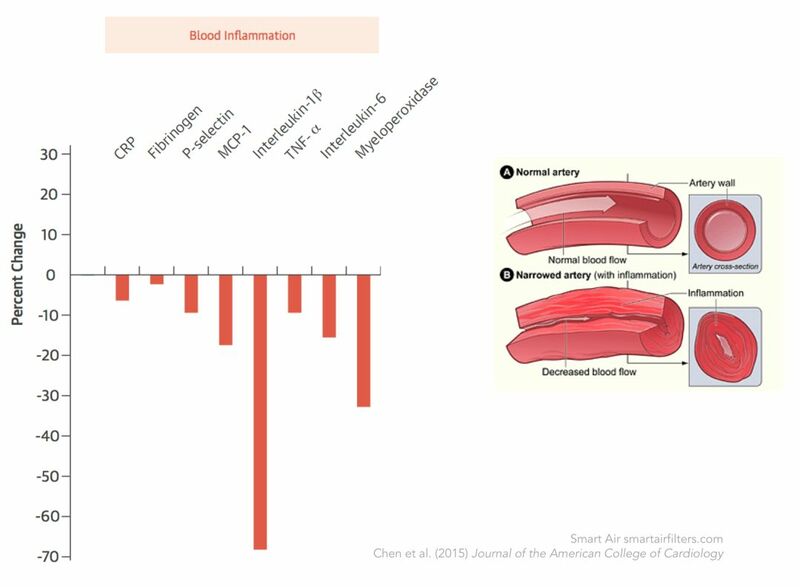 It comes from that war air pollution plays in our heart and blood vessels. But wait, the media always reports on those scary air pollution days when the air outside looks like the end of the world – but those are pretty rare – and they’re just talking about one of the most polluted cities like Beijing, Delhi, Shanghai or Mumbai. 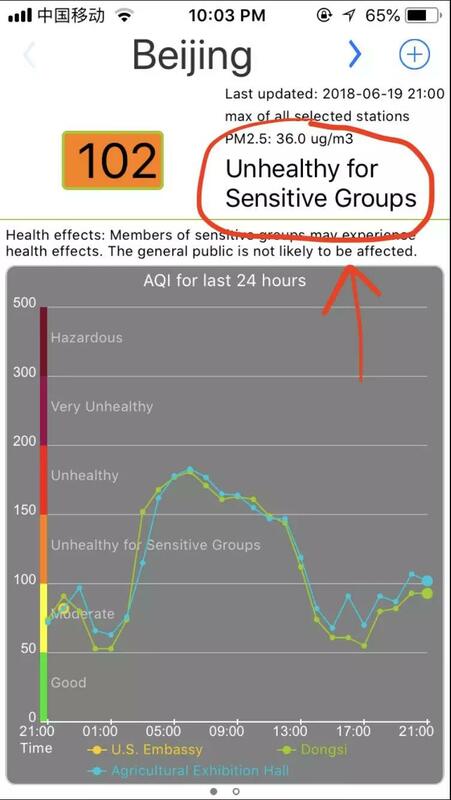 The air quality isn’t normally that bad, right? 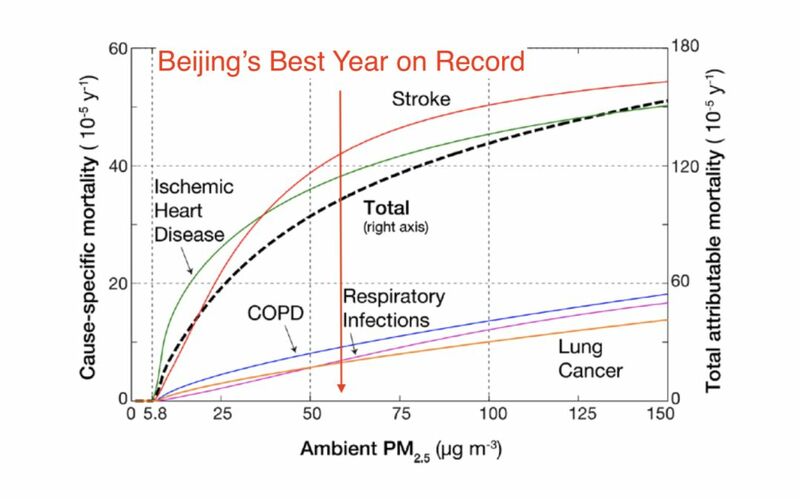 What’s more, Air quality in smoggy cities like Beijing has gotten better in recent years. All true. But the more studies I read, the more I’m convinced that there’s no safe level for PM2.5 air quality levels. For example, scientists used statistics to best estimate of how many people die each year from air pollution, at different levels of PM2.5 air pollution. Take a look at the black line showing total worldwide deaths each year from air pollution. It goes up pretty fast. Even at 25 micrograms, it’s up pretty high. Now here’s where 2017—Beijing’s best year on record—falls on that graph. 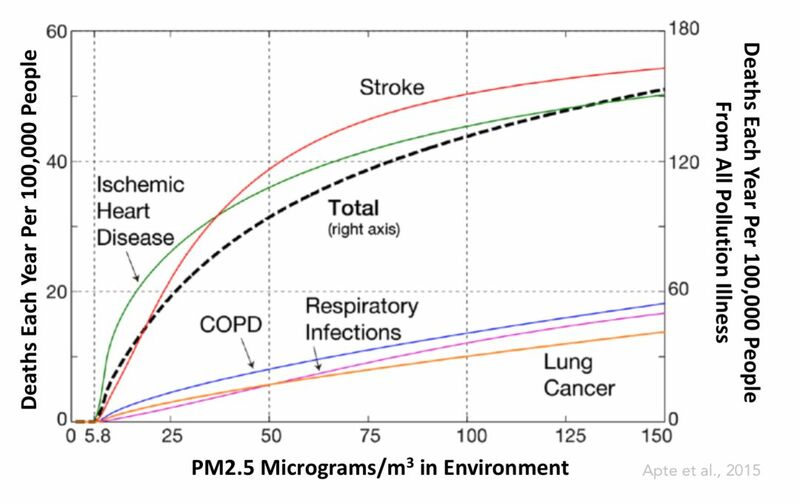 This is what all that air pollution facts mean to me: air pollution is waging war on our bodies, even if we don’t have obvious symptoms, even if we’re young and healthy, and even if it’s at levels far below the ones that make the news. If you’re in virtually any city in China, or any city in India, you’re breathing air that is killing people and you need to protect yourself from this harmful air pollution. Solving poor indoor air quality is easy. Purifiers are just fans and filters. Skip the marketing noise. Build your own or buy a low-cost, data-backed purifier. 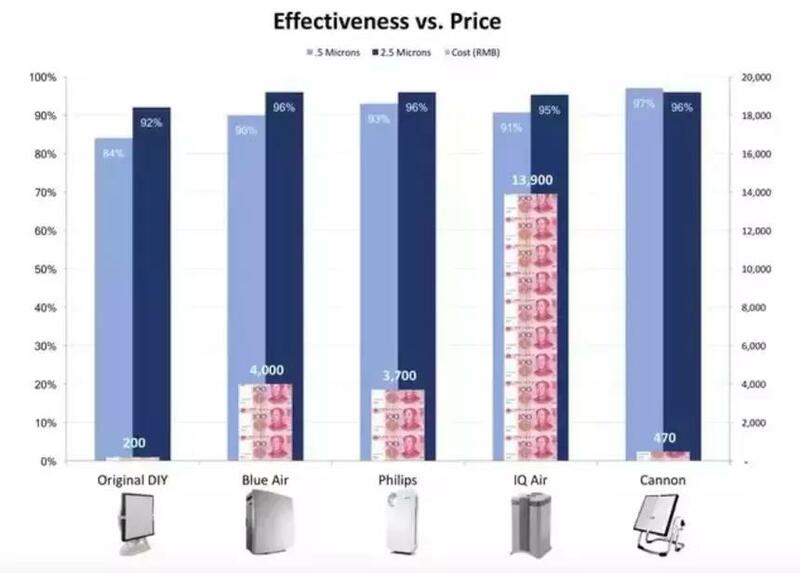 When I started searching for air purifiers, I saw lots of people buying $500 Blue Air’s and $2,000 IQ Air’s. I wondered, does clean air need to be so expensive? 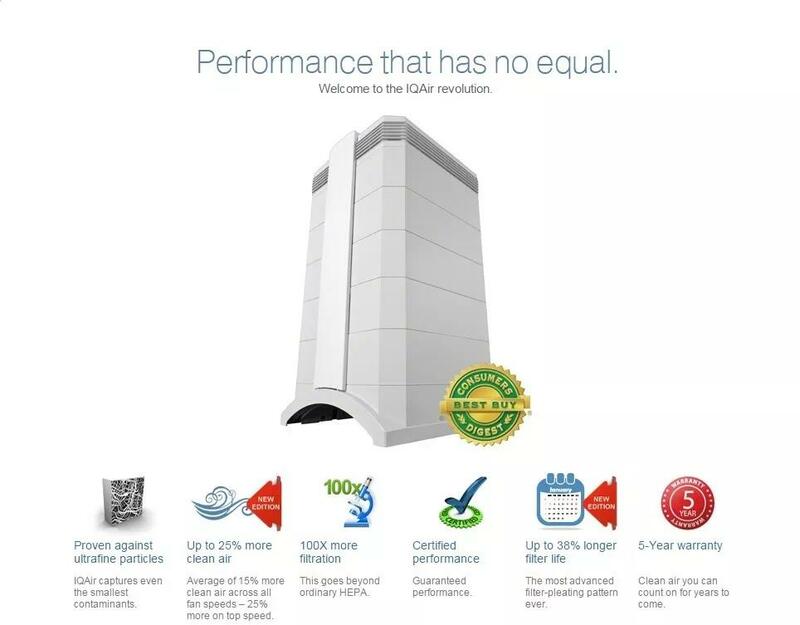 Is there any truth to their claims about special technology or imported HEPA filters? I found out the main ingredient in purifiers—HEPA filters—were invented back in the 1940s. Fans aren’t expensive either. So I built my own and tested whether it worked. The results were clear—air purifiers work. 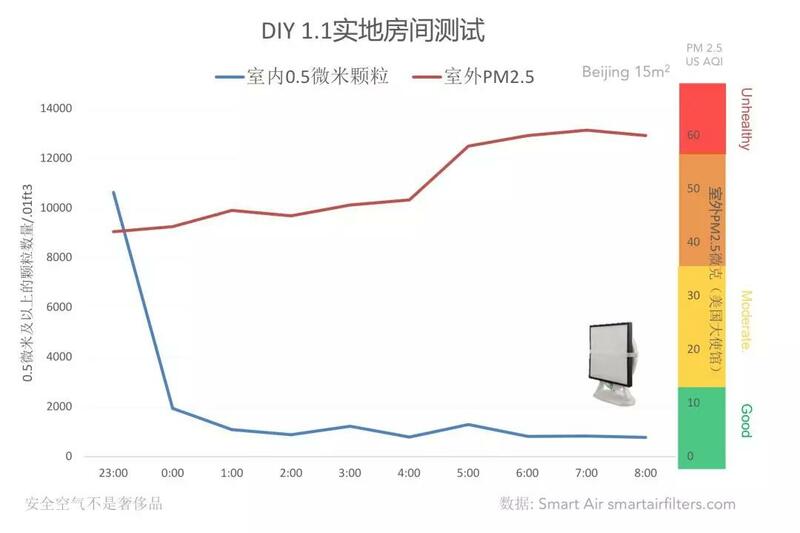 My DIY air purifier improved air quality and reduced particulate in my bedroom by 86%. It captures even really small particles below 2.5 microns, and you can even make your own for a tiny fraction of what that fancy Swiss machines sell for. In my tests and other independent tests that I describe here, there’s basically no correlation between price and effectiveness. Put another way, there are low-cost purifiers that remove just as much particulate as the $1,000 machines. 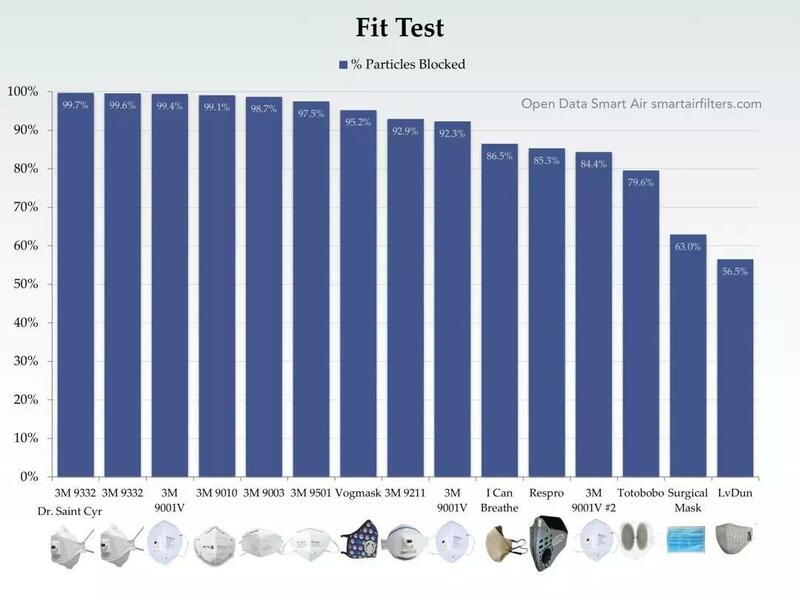 So, my startup Smart Air designed purifiers that are—you guessed it—just fans and filters. These DIY purifiers cost about $35 in China, India and the Philippines, and our super strong Blast Mini’s cost about $200 and can be delivered in China, Philippines and India. Clean air can be simple and cheap. 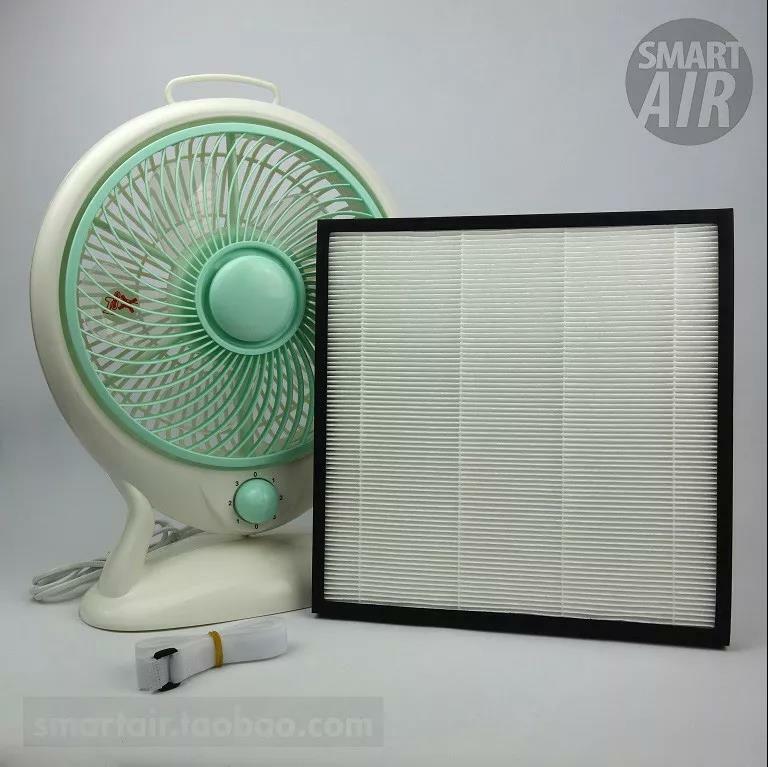 What you can do to protect yourself: Make your own DIY air purifier, order a low-cost DIY purifier or the super quiet Blast Mini air purifier, or choose any other empirically backed purifier. I’ve encountered lots of people who are skeptical of pollution masks. People have told me that masks are so thin, there’s no way to capture small particles. Or they do capture small particles, but unless they’re professionally fitted, the pollution leaks in, so they’re basically useless. Even news media outlets repeat this idea. Before I saw the research on masks, I would have guessed they kinda work all right. Turns out masks are wildly more effective than I thought, even against really tiny .007 micron particles, even when regular people are wearing them, and even when measured by physiological outcomes like lower blood pressure and better regulated heart rate. In short, masks are wildly effective. 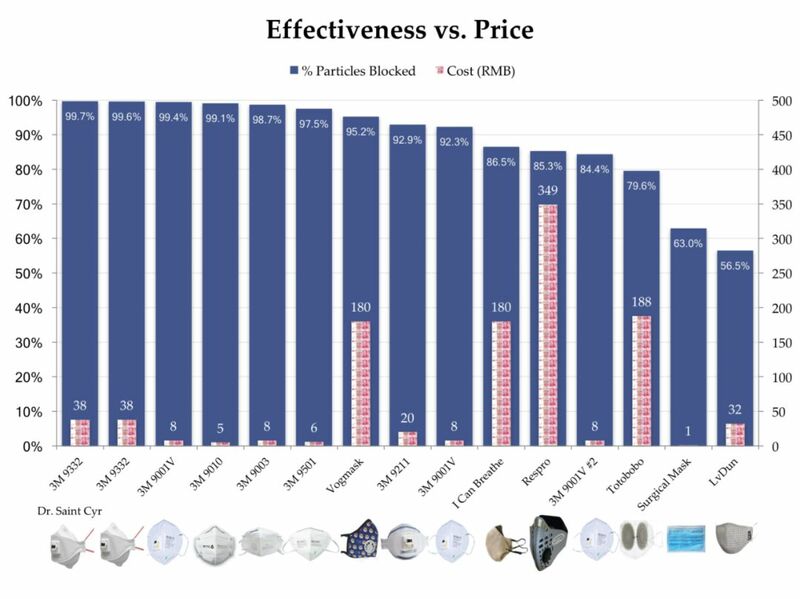 And just like with purifiers, some of the most effective masks are also the cheapest. I used to spend US$80 to buy the UK Respro mask in Beijing. Now I spend less than 10% of that to buy 3M N99 masks that are more effective and more comfortable (here’s the data). Avoid the marketing noise. What you can do: Choose any of the low-cost, scientifically tested masks in the data above. Which masks are good choices? I cover tests of masks and practical considerations like comfort in this answer: What is the best pollution mask for a vacation in China? If you want to reach real air pollution nerd status, get an air quality monitor and know what you’re breathing. They’re also great for letting you know if your purifier is working.But are they any accurate? 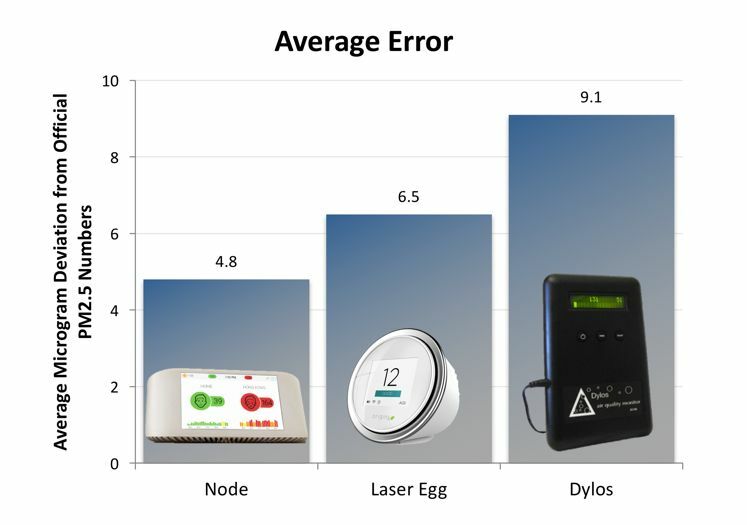 Smart Air tested three: the Laser Egg, the Air Visual Pro, and Dylos (left to right). 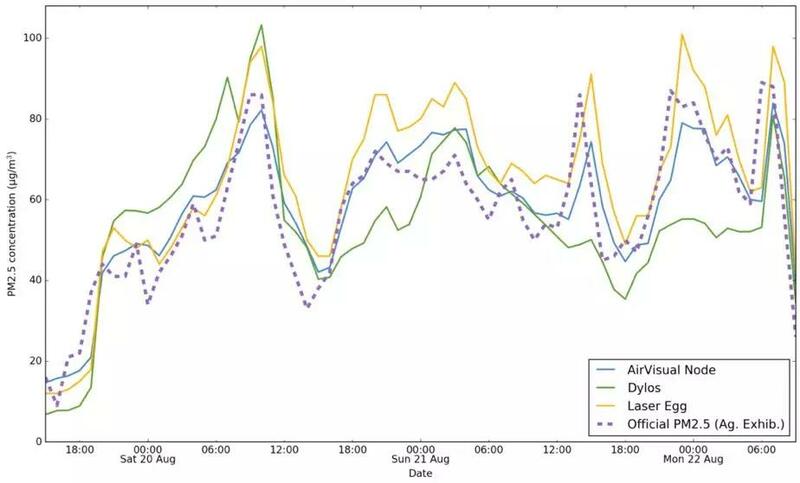 All three particle counters tracked the official pollution readings really well! On average, they were about 5-9 micrograms off from the official readings. 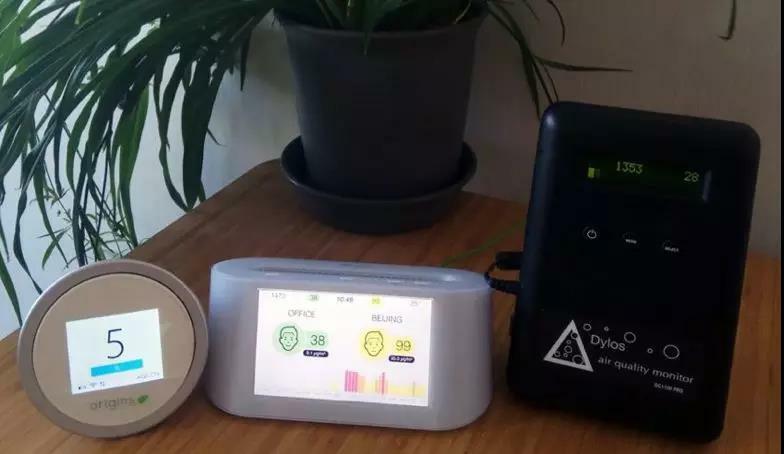 What you can do: Order a Laser Egg or the pricier Air Visual air quality monitor and discover what’s in the air you’re breathing. Bottom Line: I take these simple steps to protect myself from air pollution and breathe clean air, then I spend my time enjoying myself when I visit polluted cities like Beijing and Delhi. Clean air is that simple.